LET’S CREATE YOUR DREAM LIFE & your dream health coaching business. READY TO MAKE CONSISTENT INCOME AS A HEALTH COACH? THE UPSWING MASTERMIND begins MAY 2019. CLICK BELOW TO APPLY NOW AND JOIN THE MASTERMIND! While YOUR health soars, your Health Coaching business is stuck on the ground. You've seen other Health Coaches make it - and now YOU are ready to do the same. How do I land my first client (and keep them coming)? What steps should I take to start and set up my Health Coaching business right? Is it possible to build my business without working 60+ hours a week and burning out? Am I even good enough!? There are already so many health coaches out there, what can I add? How can I get consistent clients, while building the life of my dreams? I’ve helped hundreds of Health Coaches - including many of the best in the industry - grow their businesses from zero clients to fully-booked coaching schedules. It's 100% possible to start consistently getting clients in your health coaching business, every single month. You just need a little direction to make it happen! THE UPSWING MASTERMIND™ IS AN INTIMATE EXPERIENCE FOR HEALTH COACHES DEDICATED TO GETTING CONSISTENT CLIENTS AND CASHFLOW - ALL WHILE HEALING THE WORLD THROUGH HEALTH COACHING. What makes UPswing Mastermind different from other business coaching? Health coaching isn't about 'pushing', 'hustling' or 'grinding'. Your business needs the space to empower and inspire your client through healthy change. Very few people even know what 'health coaching' is and why they should buy. You're not selling 'health coaching', you're selling YOU! My signature program UPswing Mastermind walks you through exactly what to do, step-by-step, to fill your Health Coaching practice with (paying) clients you LOVE. Even if you're just getting started, have never had a client, are still studying, or are brand new to the marketing side for coaching - this Mastermind will make your business blossom. Weekly business trainings, designed uniquely for the Health Coaching industry. + Special guest trainings from industry experts. + Access to my private resources and support team. LIVE group video laser coaching sessions where you will receive 1:1 coaching for your unique goals and business. + Access the private members portal where you can watch all live training and Q&A calls! A private Facebook forum where you can connect with other highly driven Health Coaches, serious about making a difference in the world. + Support from myself and my team to answer your questions in our private form in the Facebook group for further 1:1 support. + Network and help foster mutual accountability as you continue on your journey. 12 Part Payment Plan of $545USD also available. Your career is in good hands. As a veteran art director, I spent my first career working in advertising with the most iconic brands, including big players like Coca-Cola, Microsoft, Nokia and eBay (+ top charities, too). When I left advertising to become a Health Coach, it felt like I entered an entirely new world. I knew what I wanted to teach, but had no idea how to get clients! After an initial false start, and the shock of how hard it was (followed by months lying on the sofa wishing I knew how to get things rolling), I finally connected the dots and brought my old career, and my new one as a Health Coach, together. As a result, I was able to quickly start making $5k per month in my first year of business. I held workshops, wrote my first ebook, launched a detox program, and spoke at top industry events. I’ve since grown my income to $10k months, then 6-figure years, and beyond! This same opportunity is waiting for you! Thanks to my previous career in advertising, my Health Coaching business had an advanced edge that simply wasn't taught in my Health Coaching certification. In fact, I didn't find these strategies being taught anywhere online or in the coaching world! So I refined and cultivated everything I knew into a step-by-step, easy to implement system, proven to run a successful Health Coaching business without all the hustle. WHAT WOULD $5K PER MONTH LOOK LIKE FOR YOU? $5k months would be a dream, of course, and is a real end-goal for many of my clients - but it's never really about the money. It's about what the money can do for your health and for the freedom lifestyle you want to design. Having the freedom to travel the world regularly, and work as I go (if I want to). Working my own hours (with yoga at 11am, and PT sessions at 4pm) and having more time for my family and friends, instead of feeling tied to a desk. Choosing to work with people I LOVE and feel like I'm making a huge impact. The freedom to quit my old job and focus completely on a career that fuels my spirit. No longer having to hold back on my cold-pressed juice purchases, kinesiology appointments, or anything that my body desires to improve my happiness and wellbeing. In short, I’m free to live the life I desire on my own terms! sounds great, but can i really do that? My business wasn't handed to me on a silver platter; I didn't start with loads of money, nor do I have secret superpowers. Quite the contrary, trust me. I worked hard to grow my business and figure out a system that truly works. It was a LONG journey, and that's why I want to give you a map to the shortcut. Your Health Coaching certification is by no means your instant ticket to success. You need to learn how to show up in your business, as a CEO, with a system, and the drive to go after your dreams, and only then can the world be your (sustainably-farmed) oyster! If I can do it, you can too, and if you're ready to take that leap and start living your dreams NOW, then I'm here to show you exactly how it's done. You’ve done the hard work already. You've studied to be a Health Coach. Your passion for helping your clients heal their lives through healing their health is unquestionable. Now it’s time for the missing piece: making money. because Health coaching isn't meant to be a hobby. ...building the income you desire AND having plenty of time for that yoga class you love, a green smoothie with girlfriends, and date nights with your partner. ...having the freedom to travel as you please, while working with ideal clients. A quick trip to Bali? YES PLEASE! ...that confidence when you start making a consistent income as a Health Coach. When your business is built to fuel you, you will fuel a powerful personal brand that is unstoppable. And that’s what makes health coaching truly unique! THE UPSWING MASTERMIND™ IS A UNIQUE COMBINATION OF MINDSET + MARKETING MOJO, RESULTING IN MY PROVEN BUSINESS SYSTEM FOR HEALTH COACHES (LIKE YOU!) TO GET CONSISTENT CLIENTS AND CASHFLOW COMING INTO THEIR BUSINESS, MONTH AFTER MONTH. I used to try to find the answers in either the mindset or marketing - but the magic came when I began to integrate BOTH! This is why UPswing Mastermind™ integrates both a feminine approach to wealth consciousness combined with a sound and solid masculine business plan, to ensure all of your marketing and structures GET RESULTS! Go for your goals this year of leaving your job or making a consistent income from health coaching – why take years when it can take months? Six months of powerful business training, coaching, group accountability, networking and support. Designed to help you step into the successful, divine, and healthy businesswoman you know you’re capable of being, all while changing more lives than ever before. 2019 could be the year to finally leave your corporate job, have the freedom to travel and spend more time with your kids. It's time to stop talking about your dreams and turn them into your reality. It's time to UPswing and make it happen! Learn business strategies and techniques not taught anywhere else, thanks to my experience working in corporate marketing and advertising on big name brands. Three times a month there will be the opportunity for Laser Coaching with myself or my UPswing lead coach on your specific challenges. Together as a group, we uncover exactly what' holding you back, so that you can keep moving forward. This is your chance to get personal feedback as well as a wonderful opportunity to learn advanced coaching skills, as you witness laser coaching with your Mastermind sisters! BONUS group training videos with Amanda and a leading Guest Expert. Get broader perspectives from other Health Coaches who have been in the trenches. Each month you’ll receive workbooks so you can directly apply what you've learned to your business. Through templates, checklists, and worksheets you'll have everything you need to run a thriving Health Coaching biz. My own greatest business breakthroughs come when I work not only with an amazing mentor, but when I've joined an awesome tribe of like-minded women! Surrounding yourself with other women who have BIG dreams, and BIG energy to make it happen turns your dreams into your reality much faster. Their breakthroughs become your breakthroughs. You just can't find a stronger level of accountability than women who are going for it, and who have your back). I only allow women who have positive energy and want to help each other forward. This is NOT a large group program where you're a number amongst 1000s. This isn't an online DIY eCourse, either. This is a LIVE experience with constant interaction, accountability and an intimate group of like-minded coaches. Now is your time to become a leader in the Health Coaching industry, and create a new paradigm where Health Coaches make a high income through shifting the way the world values health. PAST PARTICIPANTS ARE CONSTANTLY FEEDING BACK THAT JOINING THE MASTERMIND SAVED THEM TIME. HAVING A SYSTEM TO FOLLOW, AND A PLACE TO GET QUICK FEEDBACK AND GUIDANCE, SUPPORTS YOU TO BUILD YOUR BUSINESS IN THE MOST EFFICIENT MANNER. IF YOU HAVE A FULL-TIME JOB, KIDS TO TAKE CARE OF AND/OR OTHER PRIORITIES IN YOUR LIFE - THIS STRUCTURED APPROACH WILL ENSURE YOU MAXIMISE YOUR VALUABLE TIME. // You're driven, determined, and ready to be getting consistent clients as a Health Coach. // You’re so done with wasting time on ‘working it out yourself’ or taking multiple generic online programs that aren’t delivering your desires. // You're ready for a step-by-step proven roadmap to build a profitable Health Coaching business. I have over 18 years Online Business and Marketing experience (I've worked with companies like Coca Cola, Microsoft, Nokia & eBay!). I have run my own successful Health Coaching business and know exactly what it takes! I have now mentored 1000’s of other Health Coaches to get consistent clients and grow their own businesses too. I have a straightforward, nurturing style. I know your time is limited, so I only teach what you NEED to know. I don't just 'teach' you what to do, but I 'laser coach' you through any personal barriers that may be holding you back from taking action towards making your dream career a reality! I'm not a health coach - can I still take this program? Honestly, health coaching is a pretty broad term and I see this program as being suitable for anyone who feels they have a healthy message to get out to the world. I’ve had women in the UPswing Mastermind who are doctors, healers, life coaches, personal trainers, kinesiologists and yoga teachers - all of whom have benefited greatly from the training and coaching support - to help them make progress faster and take their business to the next level. If you are unsure if it is the perfect fit, just fill in an application form so that you can jump on the phone with my UPswing team and talk it through together. I'm still studying to become a health coach (or another 'healthy professional') - can I take this program? Yes, absolutely! If you take this course whilst you’re still in training, you’ll be in a position to hit the ground running as soon as you get the go-ahead to coach clients. I mean, why wait any longer that that to get started, or try and figure it all out on your own?! This program will give you all the information you need to build a rock-solid foundation and start bringing your business dreams to reality as soon as you qualify! If you are unsure if it is the perfect time for you, just fill in an application form so that you can jump on the phone with my UPswing team and talk it through together. I haven't had a single client yet - can I still join UPswing Mastermind? Yes! It’s no problem if you’ve never had a client - that’s exactly what I’m here to help you with and this program is designed to take you from the absolute beginning. Most of your mastermind sisters will be in this exact same position which will help you to feel at ease being a beginner. I'm still trying to identify my target market - does this program help me get clarity on my ideal clients and direction? Absolutely. While you probably KNOW that you have a message to share with the world, it is totally normal to struggle to ‘clarify’ exactly what this is in a way that will actually sell and resonate with your ideal client. I got ya on this one - expect to start from scratch and build from there. What if I don't have a website, a blog, a newsletter list, or a massive following? That’s not a problem. You don’t need to have a massive online following, a blog or a website to take this program. Everyone has to start from somewhere, and when I first started I only a handful of friends and family members on my list! We’ll work on growing your following over the next six months - but particularly in the latter half of the program. What additional investments will I need to make in order to implement what I learn? The great news is, you don’t have to invest a lot to implement the things I teach you, and the amount of additional investment is really up to you. I do have a ‘little black book’ of business recommendations and resources up my sleeve - including where to go to create low-cost and effective websites, what you should be spending money on and what you shouldn’t, where to create free graphics and marketing content, programs for scheduling clients, free email marketing platforms, and much more. Beyond the basics, you may choose to invest in hiring support for more advanced pieces such as Facebook ads, but you certainly don’t have to and I would never advise that before you are making money from your business first. What makes this program especially unique - and what I am dedicated to maintaining - is the high level of support offered. It’s normal in this industry for a group program of this level and nature to have at least 100 women participate - and with only 1-2 calls per month it becomes very hard to get personalised coaching and attention. I am committed to keeping an intimate, highly supportive experience in my program. I cap the number of participants to ensure a high-level of personal attention both in the live calls and the FB group, and I offer laser coaching each week. If you participate in this program fully you will honestly get more attention than you would with most private coaches. The content of this program was developed uniquely from my own journey as a beginner health coach with zero clients to making $5K+ months in just one year. Since then I’ve built a 7-figure coaching business, and been nicknamed ‘the most educated online marketer in Australia'! With 18 years online marketing experience I assure you that this is no 'cookie-cutter' online program. Why is this program about more than marketing? Doing the ‘inner work’ around wealth consciousness, confidence, mindset and overcoming fear has been a massive part of my own success - and I know it’s going to be a big part of your journey as well. I’m in my element when bringing my energy healing training into our calls to really kick those pesky limiting beliefs out of your business path for good. This ‘inner work’ is where most people get stuck and stay stuck in their business - so focussing on it at the start will set you up for success. Will all calls be recorded? How will I get access to the training materials? Yes! All our group laser-coaching calls are recorded and uploaded to the membership site within 24 hours for you to view later if you cannot make the call live. The business training videos are released weekly, and you can watch them at your convenience. This program is a completely online course, so everything - including your training videos, workbooks, and live calls - will be stored on our private member’s site. Is there a payment plan, or do I have to pay in full up front? As you can imagine, there are no guarantees when it comes to programs like this - because success requires implementation and commitment on your part - but this course has proven extremely high results time and again, as you can see. 75% of clients in a recent mastermind program had their first paying clients 6-8 weeks into the program. Every person is unique in their circumstances and I am committed to showing you how to get paying clients in a way that serves you and your own goals in a sustainable way. THE UPlevelling experience. Uniquely for driven health coaches. Click the "apply now" button below to apply and book your Discovery Session with my UPswing Team. When I first left my job to become a Health Coach seven years ago, I told myself I couldn’t afford extra business support until 'after' I was making the money in my business. I thought I could work it out alone. After six months lying on my sofa, staring at the ceiling, I realised I was no service to anyone. I needed to get clients, NOW. Turns out, that mastermind - and going pro - was the missing piece, and I started making my money back within months, quickly mastered what I believe is the biggest goal in a new coaching business - $5k+ months. A year later, understanding the amazing power of a mastermind, I signed up for another high-level mastermind program. Being surrounded by like-minded women showed me what else was possible. I lifted to $10k per month (then onwards to $50k pm and beyond!). After working with 100s of women in this format, I know, with absolute certainty, that this mastermind will deliver the ULTIMATE experience in the shortest amount of time - above and beyond what is possible with 1:1 coaching alone. You don't need to work this out alone. You don't need to struggle like I did. You don't need to waste time ‘wishing' you knew what to do - I'll teach you all of it, and I'll be right by your side as you learn to implement your very own $5k+ pm Healthy Coaching Biz. I'm counting the days now to work with the new Health Coaches who are joining me on this next round. If you are serious about growing your business in 2019, I hope you'll join us too. When I first heard about UPswing Mastermind, I was pretty sceptical — because even though it covered everything I wanted to learn, I really wanted to work with Amanda 1:1 - my fear was that it would be a watered-down version of private coaching. Boy, was I wrong! I am an absolute convert. Amanda’s Mastermind group has been the single most important key for my business success. Before starting the Mastermind, I was tired, confused and STRESSED. I was starting to question whether it was even possible making a living as a health coach. The weekly calls lift my vibration in a way that just would not be possible with 1:1 coaching. I feel like I get the highest coaching support of a key expert in my field (and I truly believe Amanda is the best out there). Watching Amanda coach other women helps me hone my own coaching skills, and has reaffirmed my belief in the true power of coaching. As a result, in the first 10 weeks of being part of the Mastermind, I have made over $10,000, and signed a new client to my brand new program — charging 3 times more than I did before! And this is only the start! “Amanda, I just wanted to take a minute and express my gratitude for all you have done for me. It may not always seem like a big deal to you, but the UPswing Mastermind™ has completely changed my life. I truly believe being an entrepreneur is a spiritual journey. Not only have I completely changed my thoughts; I have changed how I value myself, and how I value what I do. The power of mindset, mantra and manifestation have proven to be unbelievable! I truly had no idea, and quite frankly, I was sceptical to begin with. Every single day I have put myself out there in front of my ideal clients using the techniques we are taught. I have journaled, I started working with an NLP practitioner to heal my own wounds, I started meditating and reciting mantras, and being comfortable in taking big scary leaps that make me want to vomit. "I needed to build my business from scratch and was looking for a step by step process to help it grow. The Mastermind experience has been amazing. There has been a lot of mindset shifts which I’ve loved. It’s everything I expected it to be, working out what I want from my life and my business, digging into my target market and then finding where to find clients. I’ve literally followed the system. The steps are logical and that’s what makes it successful. The group has been phenomenal. They are all on their own journey and the support is about what we are going through as business owners, not so much about the business niche or the fact that I’m not a Health Coach. In 3 months I’ve come to a place where my business is steady enough so I can let go of my other business. I can confidently let go so I that can focus 100% on the business that I love, the one I am being called to do." "[Before the Mastermind] I had no clients and had made no money. I wasn’t sure I could make it as a Health Coach. I wasn’t really all in, I had one toe in and the rest of me out. A few months in and I now have 3 clients. One of the most important things I have got from the program is how much I need to work on myself. It’s ok to be a beginner and you don’t have to be perfect. I don’t have to prove anything to anyone. I’m taking the small steps Amanda has given us and it’s working. If it wasn’t for the MM, I think I would have gone back to the corporate world by now." "I can't express enough my gratitude towards Amanda and my UPswing sisters. UMM has given me the clarity and confidence to get my business up and running that I couldn't have ever 'worked out' on my own - and trust me I had tried! UPswing has enabled me to get super clear on my target market, what their needs are, how my program can help them and how to speak to them. I have also made huge gains in my understanding and mastering of my wealth consciousness and value I place in myself and my expertise. Amanda's ability to intuitively give me the most perfect advice & reflections during our laser coaching sessions and 'get me out of my head' consistently surprised and impressed me. From UMM I have started signing my first clients and they're all paid upfront in full! I feel like I now have the secret formula, resources and scripts available to take my business to the next level. (By the way, Amanda's scripts are amazing!). " “I'm so incredibly glad that I chose to sign up for Upswing Mastermind, it's changed everything! The content, structure and guest mentors have all been awesome, inspiring and so useful. I feel like I'm completely set up to make my business as lucrative as I want it to be going forward. The biggest thing was getting clear on my target, and from there learning the copy and the structure for making a package. I now have 15 new 3-month clients, and am regularly getting 2-4 Discovery Sessions per week, and am converting 90% of them to clients! It's so exciting! I've quit my part-time job and am now working full time as a coach. I absolutely love it, and I am planning to go and work in Bali for two months in August - just because I can! This experience has changed my life and given me the confidence to build my dream freedom business! I can honestly say that I don't think I ever would have got here without Upswing MM. Thank you Amanda! “[Before the Mastermind] I didn’t have a plan - other than becoming a health coach - and I didn’t know how to get clients. (I actually got my first client so that I could take part in the program.) Going from selling $30 sessions to $300 sessions is a huge difference in just a month but that’s what I’ve done... and now 6 weeks in I just sold a $4000 package. I’ve started to value myself more, and I feel completely confident that each month will be consistent. "If you are looking for someone to really show you everything you need to have in place to run a health coaching business and exactly how to get there Amanda is the one to show you how. The Upswing Mastermind gives you everything you need in a step by step plan. Amanda is amazing at both teaching you the business stuff and also coaching you through the many struggles you have or mindset shifts you need to make to get you inspired and back on point fast. Not only does the Upswing Mastermind give you all that but it also gives you the most amazing bunch of women to go through the journey with, which has been totally priceless for me!" "I was halfway through my health coaching program when I joined the Mastermind. I’m still in full-time work and my goal is to get out of the corporate world. I was at the point of 'I need something more, I want to make this happen a lot faster'. I’m just gaining so much more knowledge from doing it this way, I wouldn’t be where I am now if I hadn’t joined. My proudest moment so far was getting my first client and seeing how much I am helping him." “The Mastermind has been AMAZING! It held me accountable and taught me things that I didn't even know would be important. I’ve gotten my website & Facebook page up and running, hired support and identified my Target Market. When I started the Mastermind I had none of this setup, and no idea how to go about doing it, so being able to accomplish this (while working full-time) has been huge. "I trained as a nutritionist a long time ago and when my second child went to kindergarten this year, I wanted success and a business. But within 3 days I was lost and had no idea where to go! I had resonated so much with what Amanda had said at the IIN conference in Sydney so I made a snap decision to join the Mastermind and I have to say that it was one of the most profound things I've ever done. It was actually in the process of choosing to do it, choosing to do it for ME that was most profound. It took a lot of belief to sign up, but it was awesome. The Mastermind has given me far more than I expected. Slowly but surely I’m becoming clearer about what I want to do. It’s really helped me feel like I’m moving forward, which is priceless. What I’m proudest of so far is being able to stand tall when I talk about what I’m doing and what I can provide - the confidence in knowing what I can do and how I can help people. I really value that." "Upswing Mastermind has beyond a doubt given me ALL the tools I need to create a thriving health coaching business. 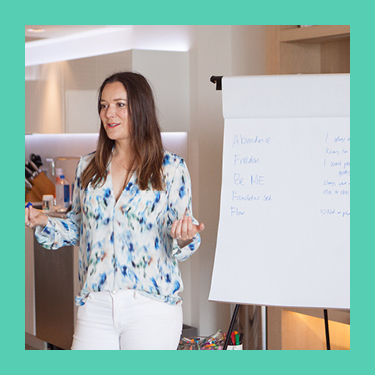 Amanda has created an incredible business training that is beautifully integrated with an indescribable self-development course. She cares about her clients as human beings more than she cares about them as clients, and I am so lucky to have come across her program. Because of Upswing Mastermind I am a better health coach, a better business woman, and a better human being. I am now confident in my ability to deliver my gifts to the world." "I was a Health Coach in the closet! I would avoid telling people what I did, and although I wanted to get out there I had a mindset block that people wouldn’t appreciate what I was doing. I was just working with people in my inner circle and I wasn’t charging my value. I found the Mastermind very attractive - to put yourself out there, you need someone who’s been there and done that to help you. It was also important for me to interact with the other participants. I’m working with Amanda, but also all the MM sisters too, sharing the journey in a group collective. We all have our own ups and downs and we can inspire and help each other. The mindset piece and the training on getting crystal clear on your target market, that’s been huge. It’s a different dynamic when you look at what your clients want. Putting myself out there and interacting with the community has also been a really big breakthrough. My proudest win has been seeing the results my clients are getting. I also get inspired by Amanda’s coaching as she’s giving us tools indirectly - teaching us how to coach." "I’ve been a massage therapist for 10 years and studied as a Health Coach but I just didn’t know where to start. I knew I needed some guidance and to get practical steps to go from zero to $5k. The experience has been amazing. The steps I've followed have created interest, success and high visibility. Just doing the actual steps has created the success, even when I haven’t always believed in myself at the time. I really love the laser coaching, I look forward to it every week. It creates community and I really feel connected to Amanda as well. I still feel I get the 1:1 experience even though it’s a group setting. It’s great to show up every week to see other people’s progress and that’s very inspiring. I think if you know that you want to do the Mastermind, just do it! If you feel in your gut that you want to do it, just go ahead as you won’t regret it. I didn’t!"